If I could only make one type of dessert for the rest of my life, I would have to pick a cookie. I love how versatile you can be with cookies. So many delicious options and flavor combinations to choose from in one delicious “bite size” serving. 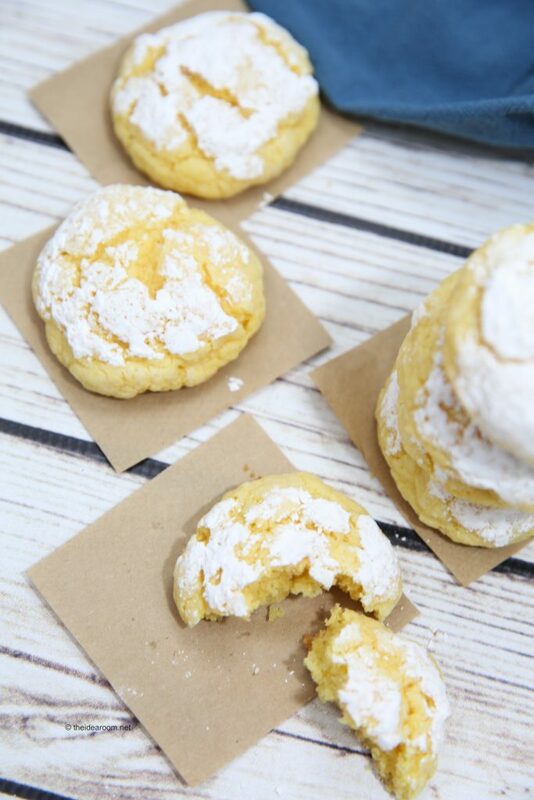 These Butter Cookies are my latest cookie obsession that I wanted to share with you. 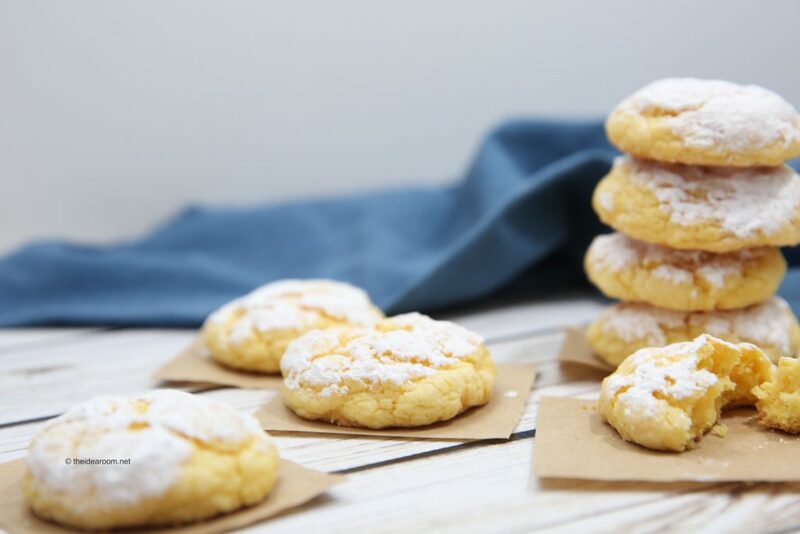 These are so simple to make and are made with a box of yellow cake mix which is sometimes a fast and easy way to whip up some cookies when you might not have enough time to whip up cookies from scratch (although…it honestly doesn’t take that much longer). Combine butter, cream cheese, egg and vanilla in a bowl and use mixer until light and fluffy. Stir in the dry cake mix until the dough becomes thick but smooth. Pour powdered sugar into a separate bowl, set aside. 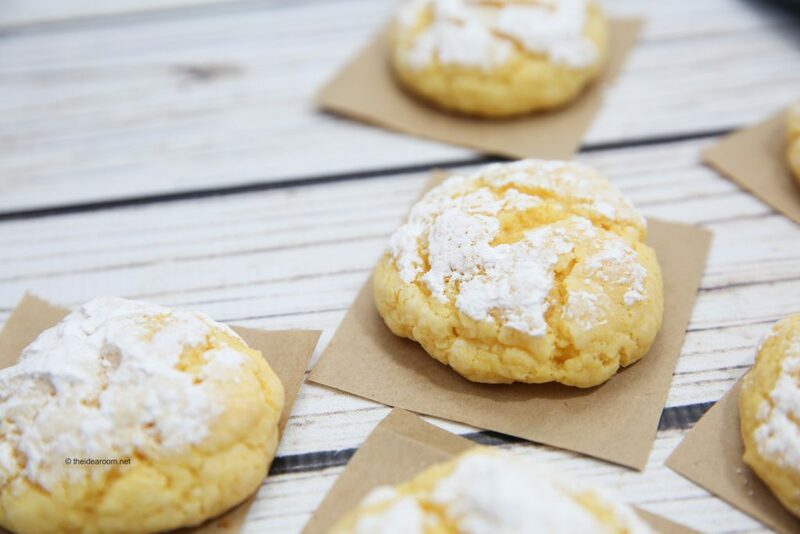 Scoop a spoonful of the cookie dough and roll into a ball, then dip in the powdered sugar until fully covered. If you want easier dough to work with for rolling, chill in the refrigerator for 30 minutes. Place cookie balls on a baking sheet and bake at 350 degrees for 12 minutes. 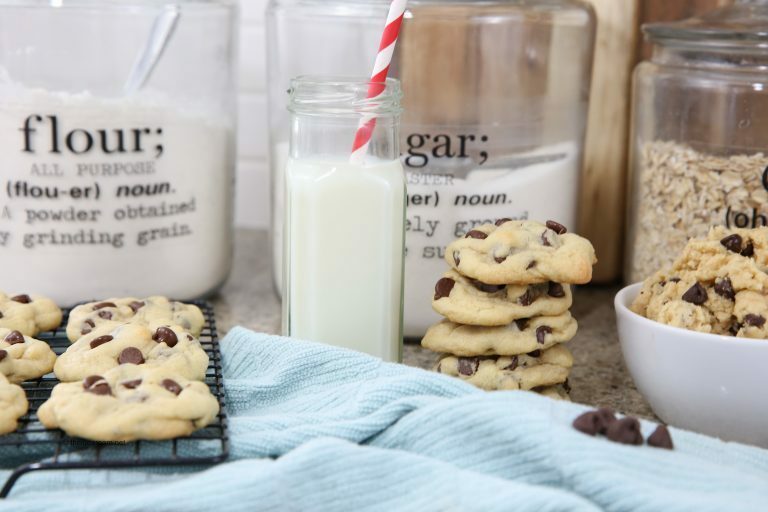 Go ahead and make some for your next family game night…or for your Sunday evening treat! These are so simple you can let the kids whip some up for you! Oh great question! I forgot to include that. It makes about 2 dozen cookies. They were yummy, but mine didn’t have that pretty white powdered sugar on top after I cooked them. It disappeared during baking. So simple and looks seriously delicious. 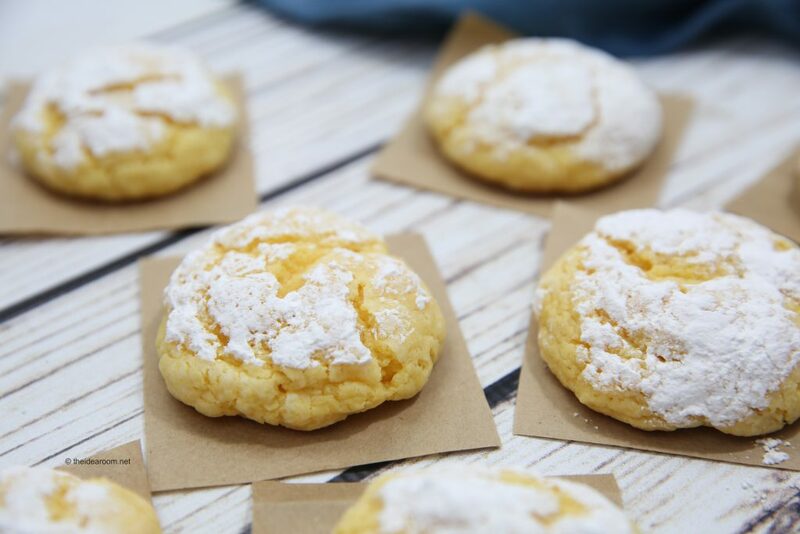 That butter-cookies, definitely need to try this one. Can I use a red velvet cake mix ( with pudding) instead of yellow cake mix. Joan- I would think that would work just fine. Sounds delicious!